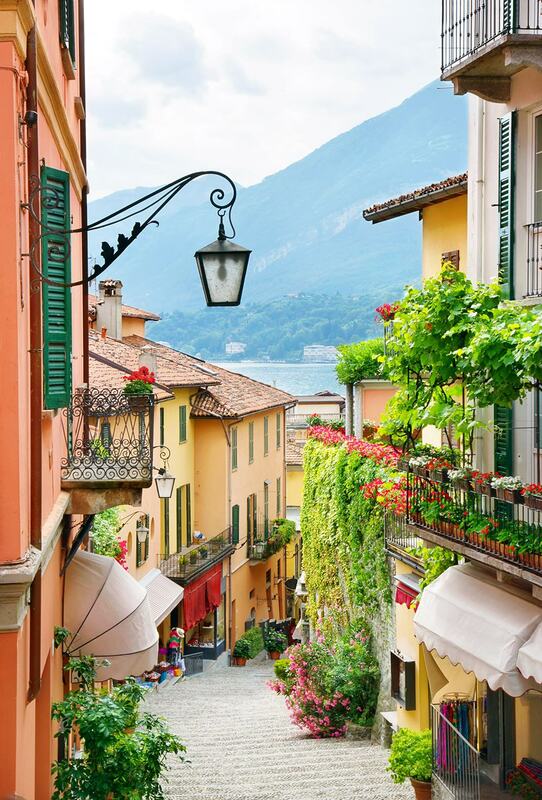 I was born in Italy, and although I now consider myself a citizen of the world, I think Italy is one of the most beautiful countries you will ever visit. From the amazing food to the spectacular history, there is so much to do and see that it’s easy to get lost. It’s not a surprise, with all its art, culture and natural beauty, that Italy is the leader of the UNESCO World Heritage Sites. 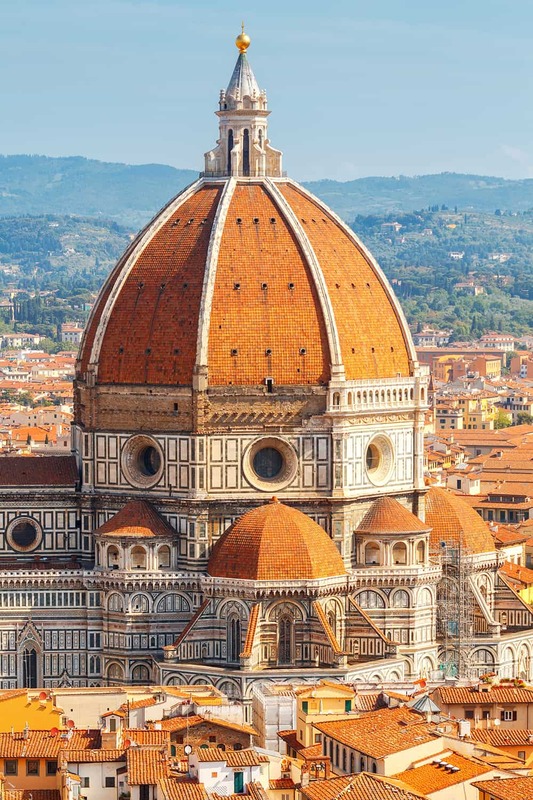 Whether you are planning your first visit to Italy, or you are a regular traveler, there are definitely some things you should know that will make your trip to Italy easier. Italians are lovely and warm people, but they do tend to be very traditional in certain habits. 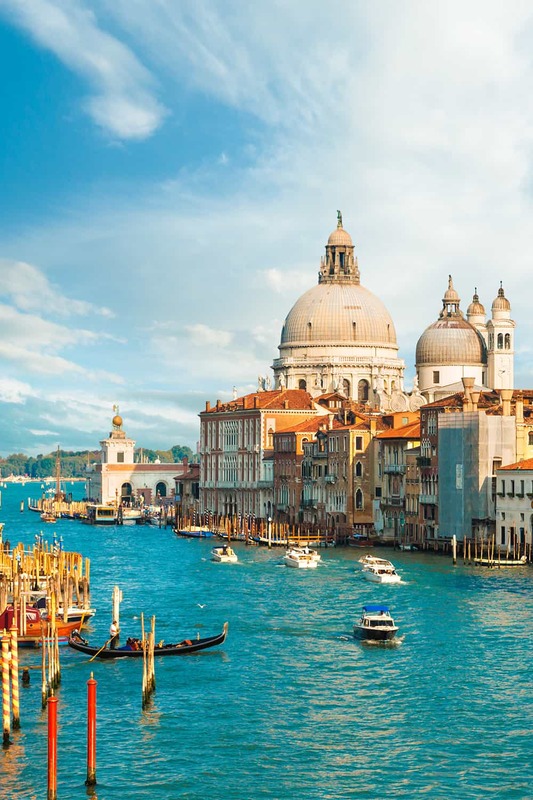 And by following these tips, I am sure you will have a great time in Italy! 18. Driving around is fun…but keep an eye out for holes! Everyone knows how amazing Italian food can be. But there are a few things you need to know before eating in Italy, that will make your foodie experience more Italian. Italians do love their coffee. But there is a perfect time in the day for drinking it. You never drink coffee during a meal. But you can have a coffee after a meal. Cappuccino is only for breakfast and you should never drink it past 11:00 am. If you ask for a cappuccino after a meal at a restaurant, or worst, with a meal, don’t be surprised if they look at you like you come from Mars. Latte in Italian means milk, so if you order a latte in a bar you will just get a glass of hot milk…not very exciting. If you want what you call a latte you need to order a “latte macchiato”, milk with coffee. Espresso means “fast” in Italian. And all Italians drink their coffee fast “al banco”, standing in front of the bar. Of course, you can take a seat at a table and enjoy your coffee slowly, but it will cost you a lot more. So if you want a cheap good coffee the Italian way, make sure you drink it standing at the bar. And remember, in most bars in Italy, you need to pay before you can order a coffee. You need to get “lo scontrino” (your receipt) first. We gave this tip to many friends and they said it was the best travel tip to eat well in Italy. This tip mainly works if you are planning to go to busy touristic places, like Rome, Florence, Venice or Cinque Terre. And it works only there because anywhere else in Italy you will never find an English menu anyway! Although the food in Italy is simply amazing, you can still find places that serve awful food. If you want to eat really good Italian food avoid at all cost any restaurants that display an English menu outside (especially if they have pictures of food too!). You might be tempted to go there because you will see some dishes you are familiar with, or you think you at least understand what the ingredients are. Please remember this: the best Italian food can only be found in restaurants with Italian menus. Similar to above, if you see spaghetti bolognese on the menu…RUN! And run as fast as the speed of light! Spaghetti bolognese is not an Italian dish, or at least it’s not what Italians call spaghetti with bolognese sauce. First of all, bolognese sauce in Italy it’s called ragù, and if you really want to eat it, you should go to Bologna or the Reggio Emilia region in Northen Italy. And you don’t eat ragù with spaghetti, but with tagliatelle. If a restaurant has spaghetti with bolognese sauce on the menu it won’t be an authentic Italian restaurant. Eat there at your own peril! Italian food is a regional affair. You should only eat risotto in Milan, or in Northen Italy and Cannolo in Sicily. Always ask the server what the typical dish is, and try new things. Or…I should say: you can ask for it, but you won’t get it! In Italy, restaurants will always serve bottled water, and if you ask for tap water you will get an awful look. Most places simply won’t give it to you and will just charge you for bottled water. You are much better off drinking wine. Plus you are in Italy anyway, and wine tastes better than water. If you want cheap but good wine, always ask for “vino della casa”. It normally comes in half a liter or liter jugs and it’s local. In the big cities like Rome, Florence, and Venice, you will always find water fountains around the main squares. Bring empty reusable bottles with you and fill them up with fresh drinking water. Never ever put Parmesan on fish. That’s it! There is nothing else to say about this. You just don’t do it! Italians rarely leave a tip in a restaurant, so don’t feel like you have to. Servers are paid good living wages, and although they will never refuse a good tip, they are not expecting one. But you will always find something else on your bill that you might not be used to. It’s called “coperto”, a cover charge. This cover charge includes bread. It’s quite standard in all the restaurants in Italy, and it should be listed somewhere in the menu. Also, if you are used to American servers you might find the service in Italy a bit slow. Eating food in Italy is a ritual, and servers will leave you time to finish your meal. If you are in a hurry you are better off grabbing something quicker like a sandwich or tell the server ahead of time. Italians normally have a sweet breakfast, they never have salty food at the beginning of the day. If you go to international hotels I am sure you will find English breakfast or cold meats, but please don’t be disappointed by the choice and embrace the local culture, especially if you are staying in a small B&B. In hotels and B&B, you will also find fresh fruit, yogurt, cereals, bread, and jam. If you are going out for dinner at 6:30 pm and you see an empty restaurant, it doesn’t mean that restaurant isn’t popular. It just means no one in Italy is eating that early. Most restaurants don’t even open before 7:00 pm or later! If you are not used to eating late, embrace the “aperitivo” culture. Italians normally go for a pre-dinner aperitivo between 6:00 pm and 8:00 pm. You can sit down in a piazza and most bars will serve you some crisps, pizza, nuts, and nibbles with your Aperol Spritz (THE Aperitivo!). If you want to blend in and hang around with the Italians (and stop starving!) try an aperitivo! The most famous ice cream in the world is the Italian gelato, and there is a reason for that! It’s simply amazing and you won’t be able to stop eating it! So there is no reason to resist! Just go for it at any time of the day. You can have gelato for breakfast, after lunch, morning or afternoon snack or after dinner. Any time is good for gelato in Italy! You are going to Italy, you want to blend in. These are the things you need to know to behave like a real Italian! And you should only say Bravo to men. If you want to praise a lady, remember to say Brava! Even if you barely know someone, don’t be surprised if you are greeted with two kisses on your cheeks. Italians are very warm and affectionate people and they are used to kiss anyone. Sometimes you’ll find that younger people even go for three kisses! But definitely not just one! Most Italian shops will close for lunch. If you are trying to shop between 1:00 pm and 4:00 pm in Italy, you might as well take a “riposino” (nap) yourself because you won’t find many places open for business. It might be annoying for you, especially if you live in a busy city, but if you are visiting the Italian countryside, you will need to get used to this way of life. Italians still think lunch is an important part of the day, and they will go home to enjoy a nice meal and relax during the hottest hours of the day. You might find shops still open in the city center of big cities like Rome, Milan or Venice, but don’t be surprised if in smaller cities everything is closed. Italians have a very different idea of personal space. Don’t get crossed if they push you or if they shove you around without saying sorry. It’s just the way it is. This also means they don’t know what queuing and standing in line means. A line or sequence of people awaiting their turn to be attended to or to proceed. Lots of people wiggling their way up to the front to make it look like they were the first one there and have the right to be served first. This happens everywhere: if you buying food, ice cream, cinema tickets or trying to board a flight. If you just wait around for your turn politely, you will be the last one in. So you either get in there and fight the fight or just resign yourself to not go anywhere! Traveling around Italy is fun! But it comes with its own experiences. Some of the tips below will help you to navigate your way through the transportation system in Italy. Trains have improved massively in the last few years in Italy. There are some impressive high-speed modern trains connecting big cities like Milan, Venice, Florence, Rome, and Naples. But if you move to less touristic cities or more rural areas, especially in the South of Italy, don’t be surprised about delays. Make sure you allow plenty of time to get where you need to be, especially if you are catching a train to get to the airport. Also, check for trains stikes as these might affect your travel plans. I will never get used to the way you need to buy your tickets in Italy, and I was born in Italy…so listen carefully. You need to buy your tickets before you get on the train. There are normally ticket offices in every station. If you are traveling quite a long distance, you can save a lot of money by buying your tickets in advance. Make sure you always check prices on websites like Trenitalia for the best price. Once you have your ticket, don’t forget to stamp it before you board the train! There are ticket validating machines on all train platforms. If you are not sure if you need to validate your ticket, ask around. The validating machines will stamp date and time on your ticket. If you want to hop on a bus, you need to make sure you buy a valid ticket before you get on the bus. There are no machines to buy tickets from and you can normally buy them in a Tabaccheria (tobacco shop) or Edicola (newspaper agents). These shops are normally closed in the evenings, so buy enough tickets ahead of time or opt for a daily or weekly pass to avoid any problems. After you buy your bus ticket, remember to validate it on the little time stamp machines on the bus. If you don’t validate your ticket you will be fined by the inspectors that randomly check on train and buses. It doesn’t matter if you tell them you didn’t know about the time stamp validation! Driving around Italy can be a bit crazy. Traffic is quite chaotic, especially in cities like Rome and Naples. Public transport is a much easier stress-free alternative than driving in big cities. And I know Italians have a reputation for being quite ‘enthusiastic’ drivers. 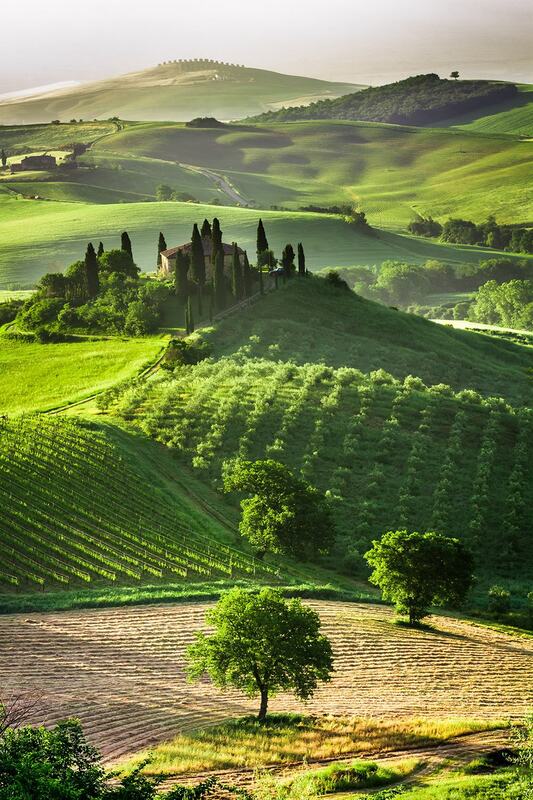 But if you are visiting the countryside, like Tuscany, the Alps or the Northern lakes, driving a car is the best way to see the beautiful scenery around Italy. And only by driving around you will be able to discover some amazing hidden gems along the way. Make sure you always keep an eye out for holes in the road ahead of you. Road maintenance isn’t one of the highest priorities in Italy, especially if you are driving on small countryside roads. As mentioned above, traffic can be quite hectic in big cities like Rome. Sometimes cars don’t bother stopping to let you cross the road and scooters tend to appear from nowhere. So make sure you always look both ways and everywhere before you cross the road (yes, even on a pedestrian crossing!). Well, if you are reading this you are a tourist! 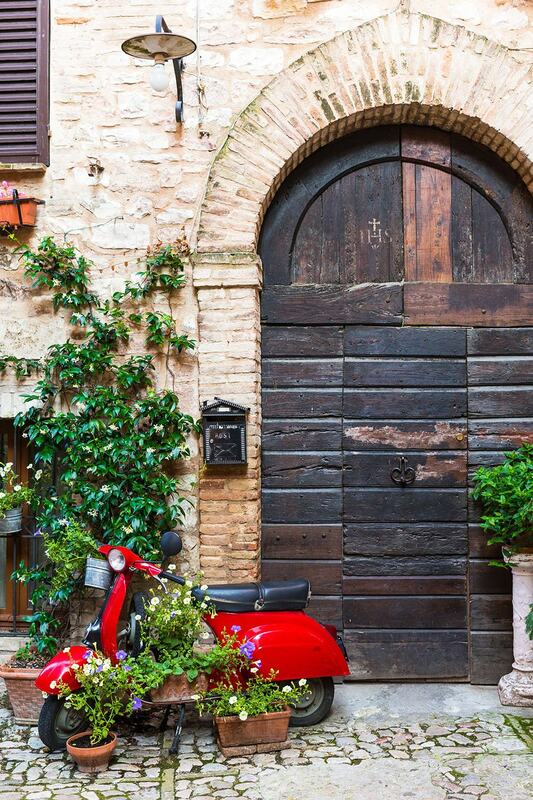 So you need some special tips that will make your tourist’s life in Italy a bit easier! August is the national summer holiday month for Italians, a lot of companies shut down, schools are closed and many Italians will leave the cities to go on holiday. You will find a lot of shops closed, even in big cities like Rome and Florence. Especially some of the most authentic shops. If you decide to visit the best beaches in Italy, in regions like Sicily or Sardinia, everything will be crowded and expensive and the service won’t be as good as if you go in June or September. It can get really hot in Italy in August, and if you are planning sightseeing, it could be quite tiring to walk around. If you have a choice, try to avoid August at all cost, and opt for more out of season months like April, May or October. 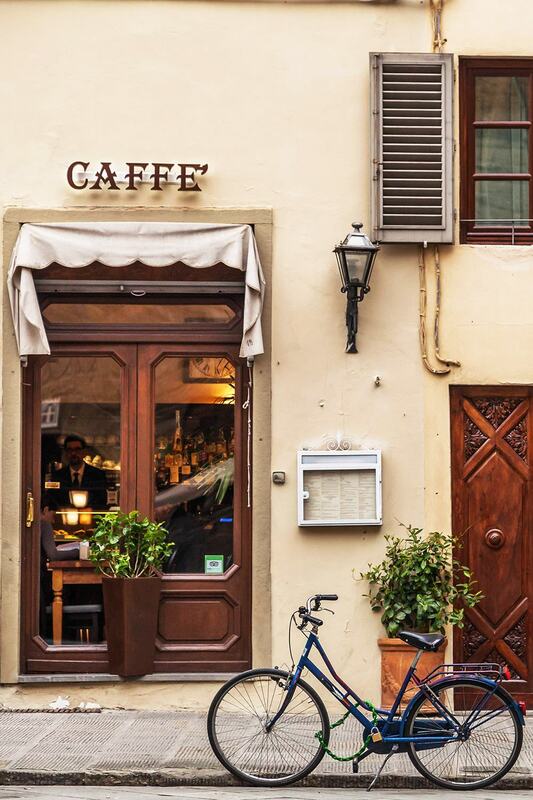 Most hotels and big restaurants will accept credit cards, but it’s still quite normal in Italy to have to pay by cash in many restaurants and small shops. Make sure you always have some cash with you to pay for your meals or shopping, especially if you are planning to buy some food at the market. Everyone thinks of Italy as a hot sunny country, but the weather can be quite extreme and different in North and South Italy. Some places in Italy can get really cold during winter, like Venice and Milan. But it can get as cold as -5° if you are unlucky! Make sure you check the weather and the temperature before you go, to be prepared for what you will find. Italy is a very safe place. I never felt in danger while walking around, even if I was alone. Having said that, if you are going through busy stations like Roma Termini make sure you keep a close eye on your possessions. Pickpocketers are in every crowded place, especially where they know they can find some disoriented tourists. Just use your common sense, like you would do in any other city in the world. Many churches will ask ladies to cover their shoulders and legs above their knees when entering inside. In some churches, men with shorts aren’t allowed as well. It can be hot in Italy during summer months, so you might be underdressed. Make sure you wear at least a t-shirt to cover your shoulders and bring a shawl with you to cover your legs. This will help you to avoid disappointment. I have seen many people traveling thousands of miles to visit a church, just to be asked to turn around because they weren’t dressed adequately. Italy has some of the most amazing museums in the world. 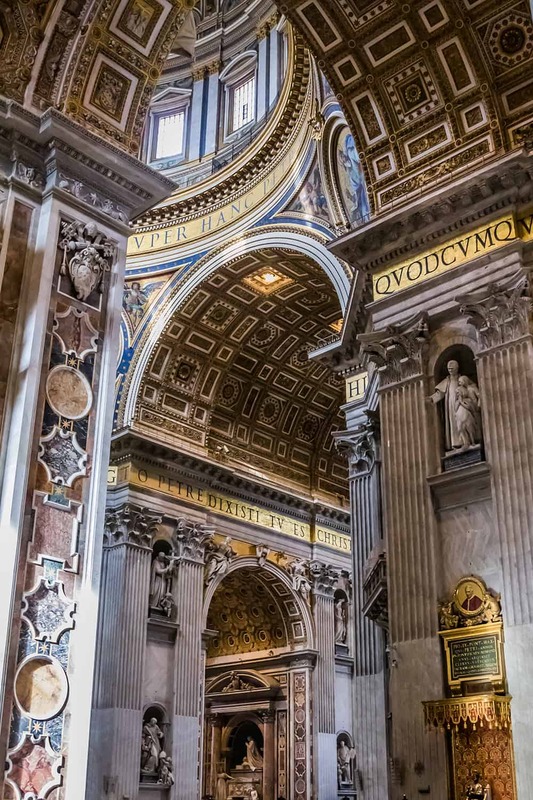 The Vatican Museums in Rome or Galleria degli Uffizi in Florence are not to be missed. You might not like planning your days in advance, but if you want to avoid disappointment and very long lines I strongly suggest you buy your tickets online before you go. You will still have to go through security checks, but you will be able to skip massive waiting times of several hours. Hotels can get very expensive near the center of town, especially during the busy summer months. Moving a few miles out could save you a lot of money. One of my favorite ways to visit Italy is by staying in a local Airbnb. 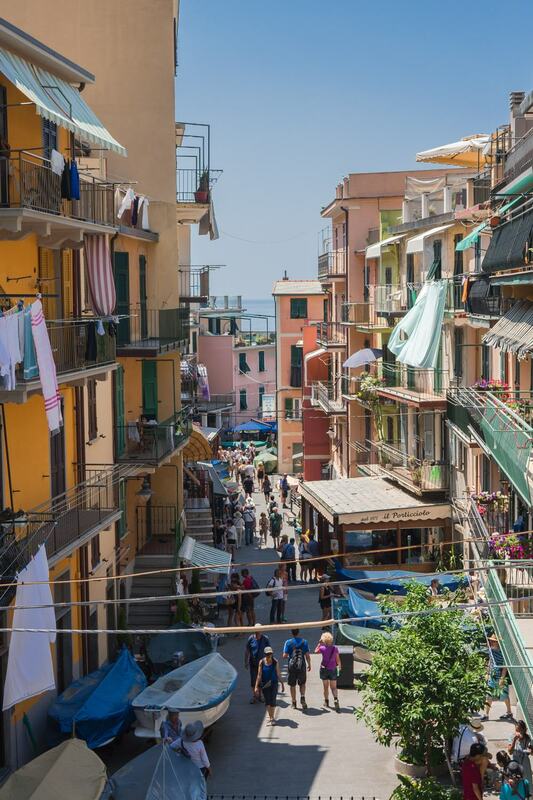 When we visited Cinque Terre, we decided to stay in one of the beautiful and colorful houses in the villages to live the real Italian local experience. And we are so glad we did! We met some wonderful local people, Simone and his mum Nicoletta, and they were so kind to share where we could find the best local restaurants and food. If you want to try out Airbnb, like we did, you can get $35 towards your next trip by CLICKING HERE. Years ago Dan and I were waiting for a bus to go to the airport near Naples. Two guys stopped with a scooter and started shouting and pushing each other around. If you couldn’t understand what they were saying, you would have thought they were having a fight. A British couple next to us started holding hands and moved away with a scared look on their faces. We moved closer to them and told hem “Don’t worry, they are just saying hi to each other and talking about what they should be doing tonight!”. So don’t be alarmed by Italians shouting! Italians are really passionate people. Two people shouting are probably just talking about what they should have for dinner! Have you already been to Italy? Do you have any other tips to share? 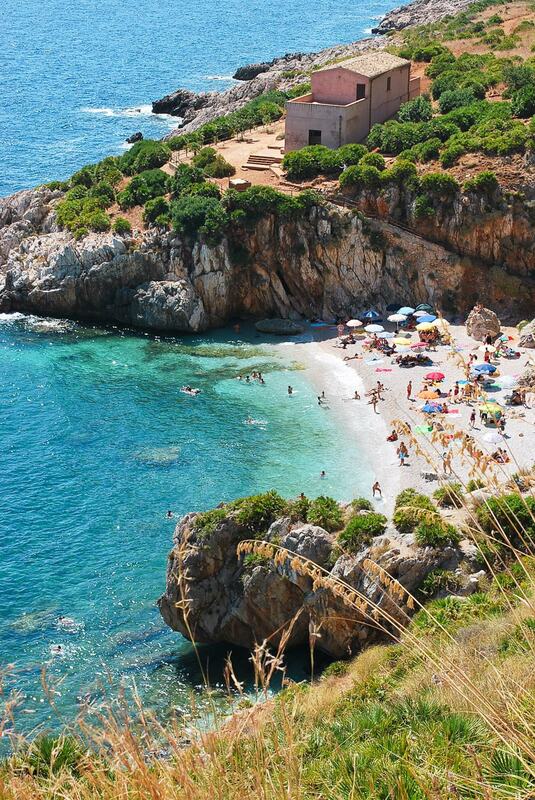 CLICK HERE TO BROWSE CHEAP FLIGHTS TO GO TO ITALY! AND ENJOY THE SUN! Momondo: It helps us find cheap flights! Find out how we do it by clicking here. 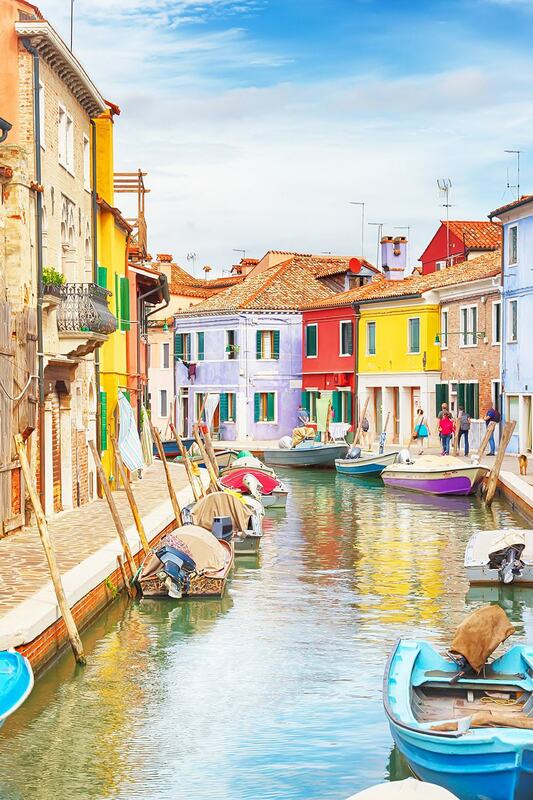 Follow us on PINTEREST for more incredible travel destinations!